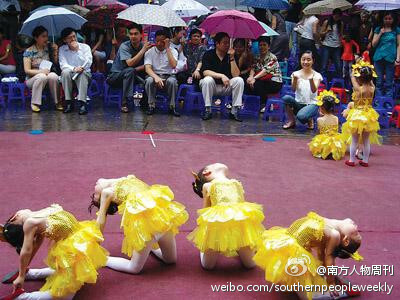 This week has seen renewed effort by netizens to visit Linyi, on what they call “group dating”, and instead of Dong Shi Gu, the destination was the People’s Square downtown. Three visitors were charged of “illegal gathering” and detained; a few more have been reported missing. And more are going. As for this week’s Weibo translation, we offer items about the citizen humanitarian effort in Beijing, the still unseen report about the high-speed train collision, what judiciary with Chinese character is like, Taiwan’s presidential debate, and more. Links to a couple of the items have been severed since I culled them, and you can join me to wonder why, but otherwise, click on date below item for link to the original. 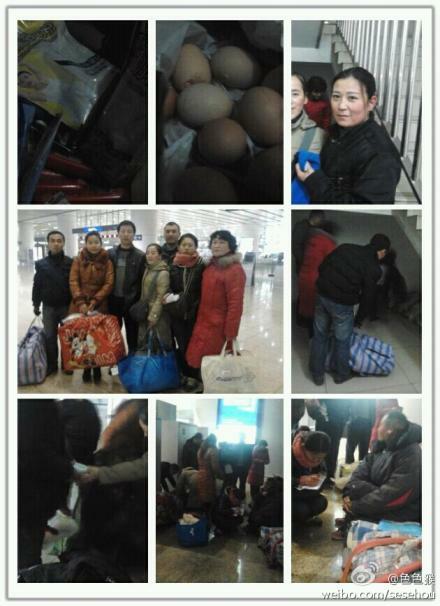 翁涛yt：/Weng Tao/(investment executive associated with Chinese Red Cross)/: As snow fell in Beijing, hundreds of petitioners who had been sleeping on street found themselves cold and hungary. The government acted as though they didn’t exist; and major charities were silent as rock. Fortunately Mr. Yu Jianrong (于建嵘), who has always been something of a spokesman for many ordinary people, called citizens for humanitarian assistance, and the netizens responded warmly. Together they headed off a humanitarian disaster. 五岳散人/ the idle man of the Five Mountains/Wu Yue San Ren/(a well-known web commentator)/: According to someone close to the investigation team, the reason the investigation report about the high-speed train collision has still not been issued is because high-level leaders have a hard time to choose what to blame. If they single out the suppliers of signaling equipment, it would hurt the international image of China’s high-speed train as well as its export; if they blame the railway dispatchers, it would compromise many people. What this means is very simple—the real cause is not important; what matters is how to minimalize the government’s responsibility and loss. I have two words [for them]: F@#k you! 胡锡进 /Hu Xijin/(Editor-in-chief of 《环球时报》, Global Times)/: Imperialism is once again raising its head. China should re-evaluate its attitude in conflicts between a small country and the west. In the past, even when China didn’t cooperate with the west, it did not spoil either. From now on, even if China does not help these small countries, it should never chorus with the west. Depending on the situation, China should encourage a small country threatened by the west by providing moral and material support. We should do so to the same extent the west supports the anti-China element inside China. 青岛都市报/Metropolitan Qingdao Post/: The day before yesterday Russian embassy opened a Weibo account. Many people made similar comments on it: Take the communist party back and return our land! The basic events of the case established during the first trial are a violation of the truth; evidence for the court’s decision is non-existant, and has been refuted as being invalid during the court investigation; the criminal charges [against Ng] are in violation of Chinese statute, and do not meet the defining criteria of the crimes. The verdict reached at the end of the first trial is completely wrong. At the same time, with regard to the investigation, the filing and the trial of the case, none has been carried out in accordance with the limitation of action stipulated by the Chinese law, therefore illegal in terms of procedures. It is regrettable that such decision could have been made by the Intermediate Court in Guangzhou, the very frontier for China’s opening-up and reform. We will assist Matthew Ng to appeal according to the law, petitioning the Supreme Court of Guangzhou Province to conduct an open trial, and to dismiss the current verdict and hand out a non-guilty one. China has seen steady dropping in recent years in the percentage of criminal cases participated by defense lawyer[s], because, for the lawyers, it not only pays less, but also increasingly poses danger as many of them have been threatened, harassed, beaten or even charged. 韩嘉毅律师/Lawyer Han Jiayi/(secretary general of criminal defense committee of the National Association of Attorneys)/: What is the national rate of criminal cases with the participation of defense lawyers? I did some research in one province and the results are as follows: The courts across the province handled 12235, 12887 and 13544 cases respectively in 2008, 2009 and 2010. During the same period, the number of lawyers in the province was 1679, 1945 and 2179 respectively, and the number of cases defended by lawyers was 1863, 1828 and 1441 respectively. 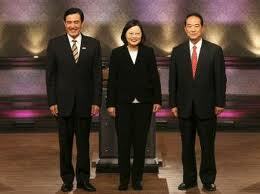 On Saturday, December 3, Taiwan held a round of 2012 presidential debate. Many mainland Chinese watched—not on the state-owned TV though—with fascination and envy. 石讷/Shi Na/(a netizen in Shanghai)/: Merely aesthetically speaking, the Taiwan politicians look like real people with feelings, whose words are comprehensible, and whose expressions are that of normal people. At the least, they are not repulsive. 雷颐/Lei Yi/(historian)/: Watched the debate of Taiwan’s three presidential candidates last night. Next year, both mainland China and Taiwan are changing leaders, but in such divergent manners. Hard to sort out my thoughts and sentiments on this. 许小年/Xu Xiaonian/(Economist)/: A friend of mine sent me a link to a collage of People’s Daily of the same day, same month but two different years. I thought it was a prank, but it is real upon close examination. No more talk about innovation, no more talk about so-called cultural endeavor, in this bureaucratic system. People's Daily on the same day, but published in different years. By T in Uncategorized on December 11, 2011 .